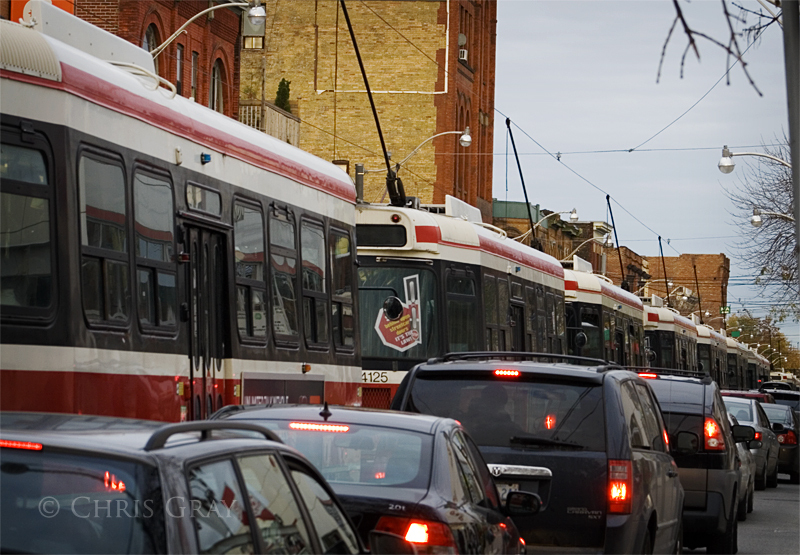 This lineup of streetcars on Queen was a result of an incident on a Queen streetcar at Broadview. The police were interviewing passengers on a streetcar just past Broadview, in front of The Opera House. I was able to get off a streetcar at the end of this line, walk up and do some errands, and get on one of the streetcars at the front of the line, at which point, the police let traffic go again. It was amazing, however, to see so many streetcars lined up at this corner. 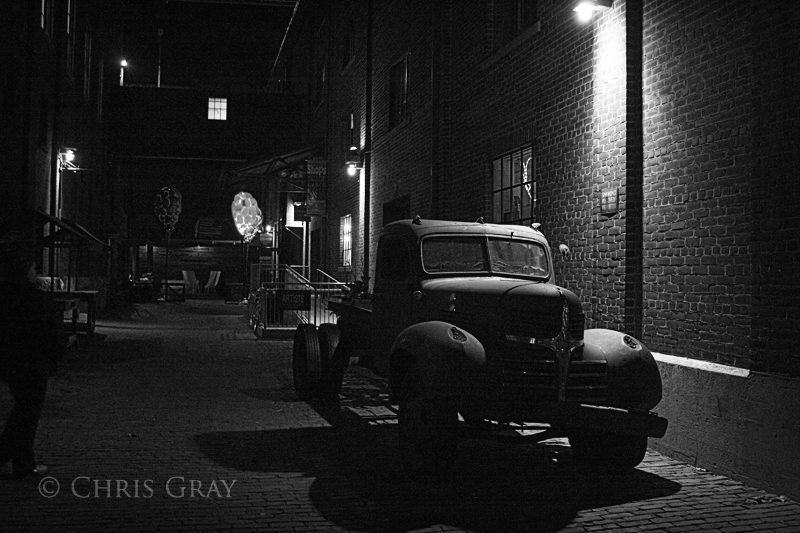 I love this old truck in the Distillery District. It's all rusted and rough textured, and it suits the architecture so much. Yeah, I know, the Distillery sometimes comes off as a tremendously expensive tourist trap. And I know, the shops there are very specialized and snooty - but the artists that have rented space there do some seriously interesting stuff. It's worth checking out. They city is so colorful this time of year. All the trees lose their green, and drop brightly colored leaves all over the ground. And people start wearing jackets, and pretty soon, the snow will come and make the city grey again. 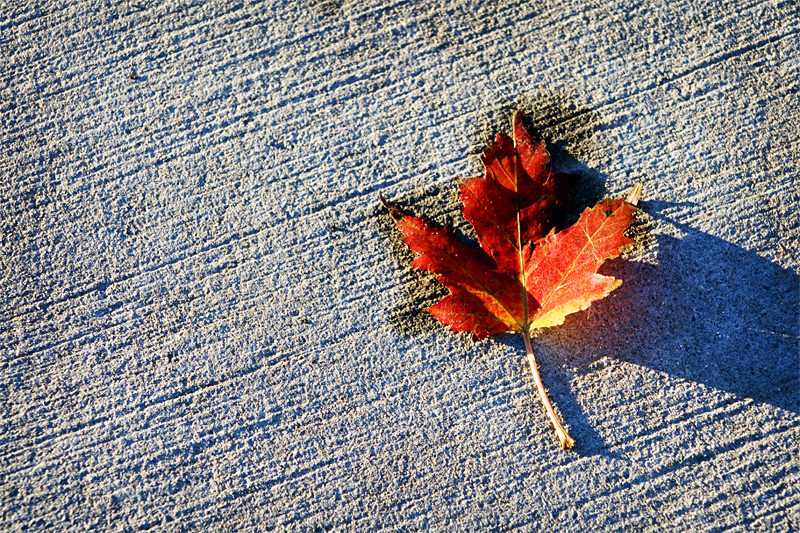 But for now, we have reds, yellows, and oranges scattered across the sidewalks and roads to make us happy. Sometimes, it's surprising what turns up in your camera. 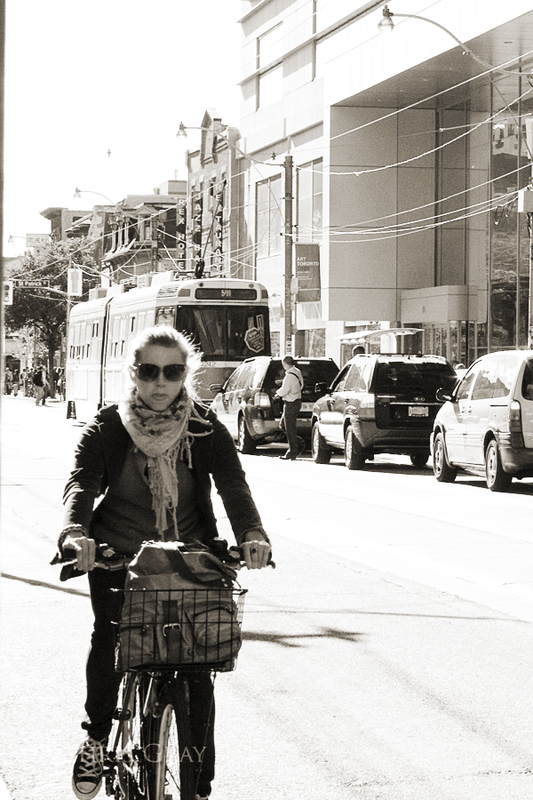 I remember taking this shot, and I remember actually trying to get a shot of the skateboarder coming up behind her. But this one turned out better, so there you go. 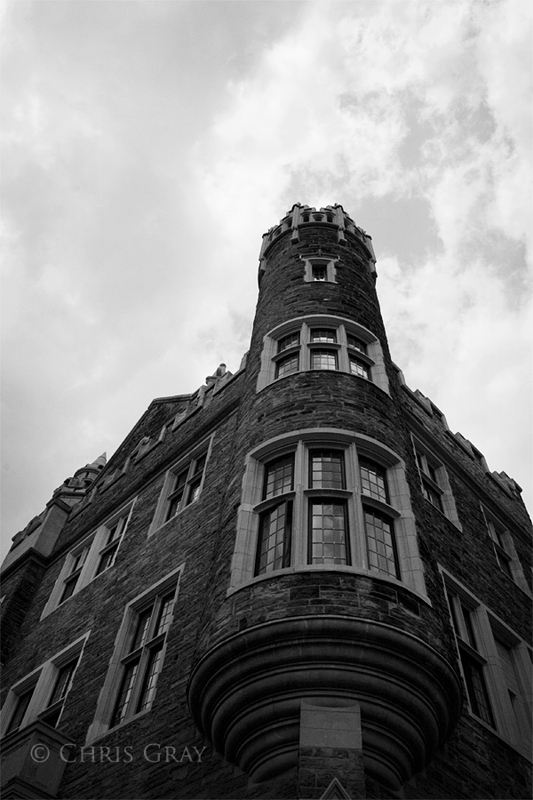 Another shot from our trip to Casa Loma back in August.